Many HIV positive individuals are still undiagnosed, which has led health systems to try many approaches to expand HIV testing. 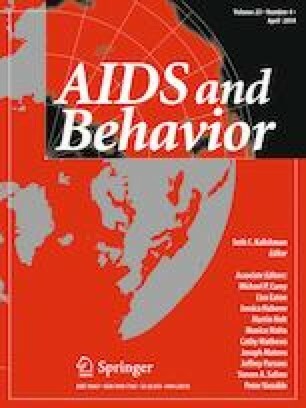 In a randomized controlled trial, we found that behavioral economics interventions (opt-out testing and financial incentives) each improved HIV testing rates and these approaches are being implemented by several hospital systems. However, it is unclear if these strategies are cost-effective. We quantified the cost-effectiveness of different behavioral approaches to HIV screening—opt-out testing, financial incentives, and their combination—in terms of cost per new HIV diagnosis and infections averted. We estimated the incremental number of new HIV diagnoses and program costs using a mathematical screening model, and infections averted using and HIV transmission model. We used a 1-year time horizon and a hospital perspective. Switching from opt-into opt-out results in 39 additional diagnoses (56% increase) after 1-year at a cost of $3807 per new diagnosis. Switching from no incentive to a $1, $5, or $10 incentive adds 14, 13, and 28 new diagnoses (20, 19, and 41% increases) at a cost of $11,050, $17,984, and $15,298 per new diagnosis, respectively. Layering on financial incentives to opt-out testing enhances program effectiveness, though at a greater marginal cost per diagnosis. We found a similar pattern for infections averted. This is one of the first cost-effectiveness analyses of behavioral economics interventions in public health. Changing the choice architecture from opt-into opt-out and giving financial incentives for testing are both cost-effective in terms of detecting HIV and reducing transmission. For hospitals interested in increasing HIV screening rates, changing the choice architecture is an efficient strategy and more efficient than incentives. The online version of this article ( https://doi.org/10.1007/s10461-019-02425-8) contains supplementary material, which is available to authorized users. The study received institutional review board approval from the University of California, San Francisco. United States Census Bureau. QuickFacts, San Francisco County, California. https://www.census.gov/quickfacts/fact/table/sanfranciscocountycalifornia/PST045216. 2017. Accessed 12 June 2017.